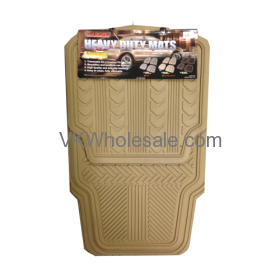 Minimum quantity for "4 PCS Heavy Duty Car Mats - Beige" is 5. 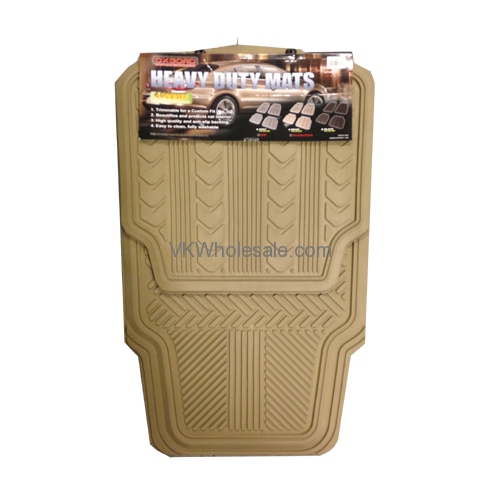 These 4 piece heavy duty car mats are compatible with most vehicles. Beautifies and protects car interior. Easy to clean, fully washable. 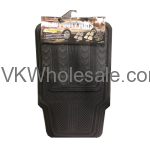 Minimum quantity for "4 PCS Heavy Duty Car Mats - Black" is 1. Minimum quantity for "4 Piece Car Floor Mats" is 10. 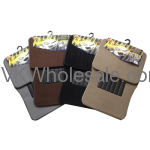 Minimum quantity for "Pallet Deal - 4 Piece Car Floor Mats, Total 400 Sets of Car Mats - $5.99/Set Delivered" is 400.